shopping sites based in the UK. Earn cash by having your say! Train your brain, develop your skills! Eat for half price at 1000s of restaurants! Free personalised skincare system, and 20% off! Chef standard meal in 20 mins, now 50% off at Simply Cook! Get a free Microsoft Surface Tablet! Sky Movies Free For 30 days! Get Sky Movies free for a whole 30 days, unlimited viewing of hundreds of amazing films including the latest chart titles and classic flix! Watch instantly online so no boxes, dishes or waiting for DVDs in the post! No obligation. A picture frame for the 21st century!! 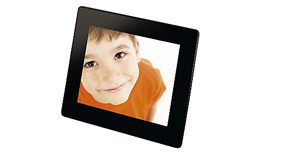 Load up your memory card from your last holiday or snaps of the kids and the 8MB Digital Photo Frame shows a slide show of your favourite snaps. Various formats accepted as images and SD, MMC and SDHC memory cards. Even easier to get perfect straight hair with the new girly mark V Jewel Collection Pink Diamond styler from the legend that is GHD. Free delivery, authentication certificate, heat resistant carry pouch plus £10 goes to Breakthrough Cancer charity. The single most desirable beauty product of the year. Get yours now! The market leading eReader with 3G wireless access to download millions of titles, it holds thousands at one time! 2 month battery life and easy on your eyes! Check out Amazon for hundreds of free Kindle eBooks! Its lighter than most paperbacks so you can carry a whole library around with you! Much cheaper than most books to buy and loads of free resources including dictionary and web links. Why buy Mayfair and Trafalgar Square when you can buy streets and buildings named after your friends, neighbours, family or even your enemies? Now you can because My Monopoly allows you to personalise every aspect of the classic board game. Go to Jail. Do not pass Kate's dirty desk or Jim's chip shop. The UK Department Store website was designed and developed by UK Internet Sites Ltd © 2006-2015. All rights reserved. E&OE. ukdepartmentstore.com and UK Department Store are trademarks of UK Internet Sites Ltd.